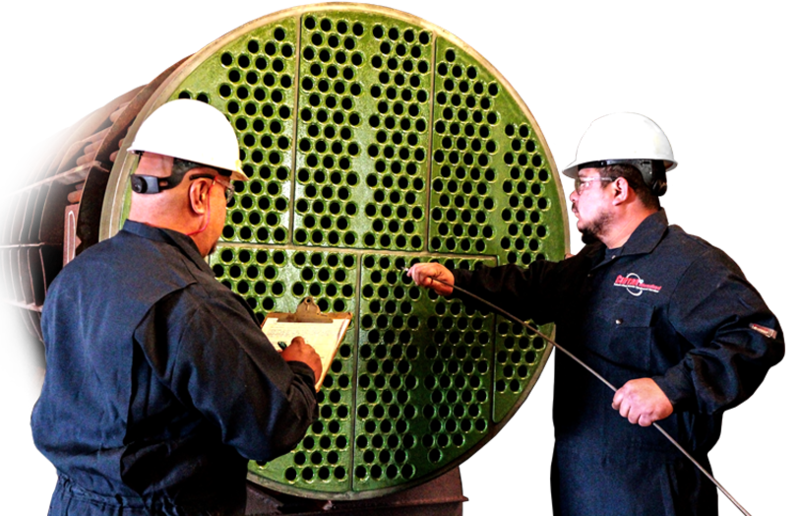 Curran International provides some of the most innovative solutions for efficient and reliable operations of heat exchangers. Curran International is globally known for its thin film exchanger coating applications to reduce fouling, corrosion, and extending the useful operating life of refinery and petrochemical heat exchangers. Alloy tube liners, full length hydraulic expansion In-situ restoration, tube recovery using alloy liners Curran provides turnkey surface prep & installation. Dry abrasive prep for NDE clean tubes Predictable ID cleaning, eliminate rework Improve inspections, restore heat transfer. Ultra-thin foul release hybrid coatings & applications Improves tube lubricity, release of foulants Applications for “critical service” exchangers. Curran’s ability to provide all inclusive turnkey solutions places them at the forefront of maintenance excellence. Curran international is the company-of-choice and a valued for turnaround, outage or emergency projects of any size. Curran crews work around the clock and the world to meet your needs. To Ensure Your Equipment Is Optimized By Contacting One Of Our Representatives Today!